Dr. Piccillo offers comprehensive foot and ankle services. She graduated from Temple University School of Podiatric Medicine and completed a residency in Podiatric Medicine and Surgery with Reconstructive Rearfoot/Ankle Surgery from Hahnemann University Hospital/Drexel University College of Medicine. Dr. Piccillo is proud to be medical director of Lacquer Lounge and the services provided. We have always specialized in Waterless Manis, but we NOW offer Waterless Pedis in our lower level Lounge. Our new cozy, waterless, beauty destination is a place where you can relax and escape the noise. 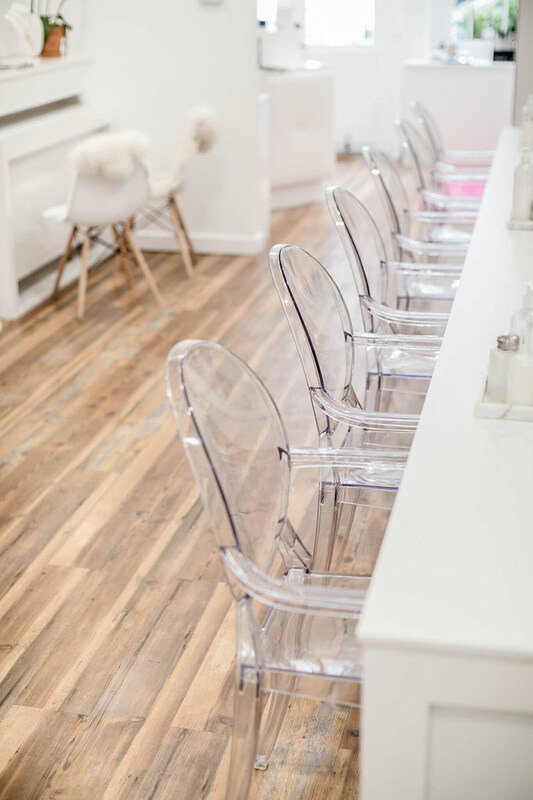 We still offer the traditional method of Pedis on the main floor. All of our services are safe + healthy + effective! Nails remain stronger and polish will last longer since nails swell in water.